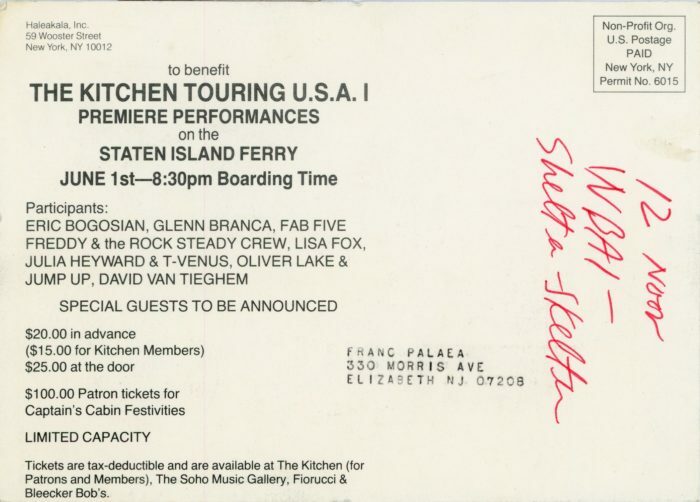 Postcard invitation to benefit The Kitchen Touring U.S.A. 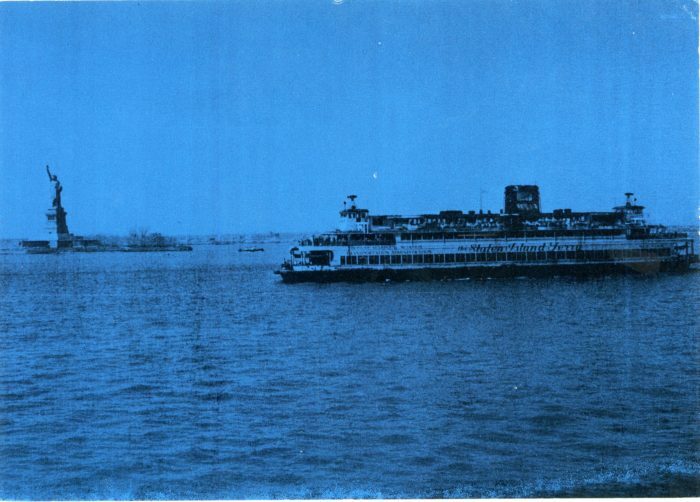 I: Premiere Performances on the Staten Island Ferry, June 1, 1982. Participating artists included Eric Bogosian, Glenn Branca, and Fab Five Freddy & the Rock Steady Crew.